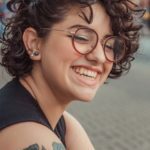 Set in 1965 on the fictional island of New Penzance, Moonrise Kingdomtells the story of two 12-year-olds who fall in love, secretly make a pact and run away together into the wilderness. Just like his other films, director Wes Anderson’s latest flick features a unique story, quirky characters and of course oodles of fashion inspiration. 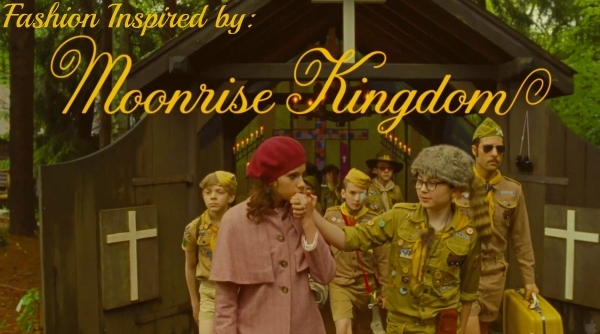 If you haven’t seen Moonrise Kingdom yet, head to your nearest theater and do so — you won’t regret it! 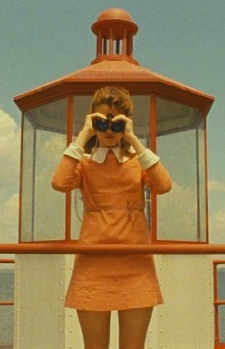 Suzy Bishop (Kara Hayward) lives on the island with her parents and three younger brothers. She loves reading books about characters with magical powers and taking care of her kitten, but sometimes her temper gets the best of her. Her style reflects the ’60s setting of the film and she wears lots of short pink and yellow frocks, which oftentimes feature an ornate collar. For this look, wear a pale pink dress with a Peter Pan collar like the one that’s found on most of Suzy’s dresses. This ModCloth coat is nearly identical to the one Suzy wears in the film, as is this dark pink beret. Add a pair of two-tone “Sunday school shoes” and some knee-high socks. These drop earrings are a stylish version of the ones Sam makes Suzy in Moonrise Kingdom, while the pale yellow handbag reminds me of her suitcase full of books. Since Suzy’s style is so inspirational, I wanted to create a less literal and summer-appropriate outfit based on her look. This peach-colored shift dress has that ’60s aesthetic while the mesh cut-out adds a modern touch. Add a pair of lace-up oxfords and a chic straw satchel. This necklace is a stylish way to pay homage to Suzy’s ever-present binoculars, while the gold bracelet resembles her favorite left-handed scissors. Sam Shakusky (Jared Gilman) attends summer camp on New Penzance. 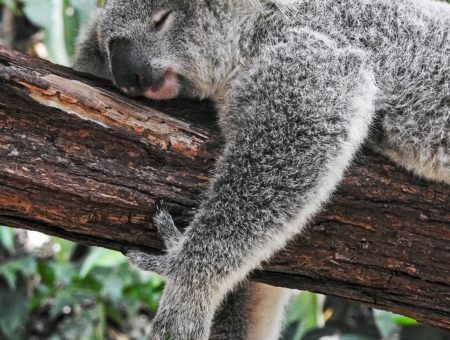 He’s an orphan who has bounced from foster home to foster home, although that hasn’t dampened his good-hearted nature. 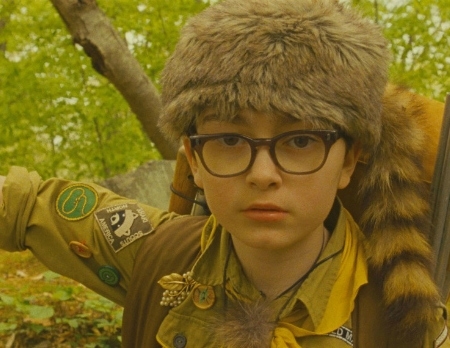 Sam wears his Khaki Scouts uniform throughout most of the film, but has added his own embellishments to it, such as his mother’s brooch and a unique coonskin hat. Create a fashionable version of Sam’s look by wearing an olive green dress that has a similar look to his scouting uniform. Add a pair of neutral-colored tights and some sturdy tan ankle booties. This leaf-shaped brooch resembles the one Sam inherited from his mother, while a round crossbody bag is reminiscent of his trusty canteen. For the finishing touch, add a pair of Wayfarers, which have a similar shape and style to Sam’s glasses. 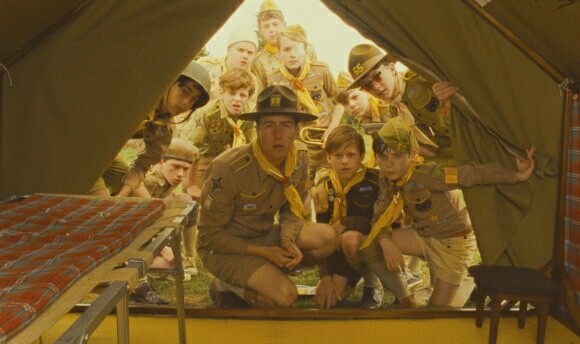 Led by Scout master Ward (Edward Norton), the Khaki Scouts are a group of pre-teen boys who attend Camp Ivanhoe with Sam. Although they wear the same basic uniform, the Scouts are still a fantastic source of fashion inspiration. For a Khaki Scouts-inspired look, pair a basic white t-shirt with a pair of tan shorts. Add an olive-colored blazer and a pair of brown boat shoes. A yellow statement necklace is similar to the scarf all the Khaki Scouts wear, while a tan headwrap is a stylish version of the scouts’ headwear. Finally, accessorize with an adorable and one-of-a-kind compass ring. When it comes to fashion inspiration, Narrator’s unique red and green outfit would make a stylish and practical winter ensemble. Once cold weather hits, try pairing gray cords with a Fair Isle sweater. 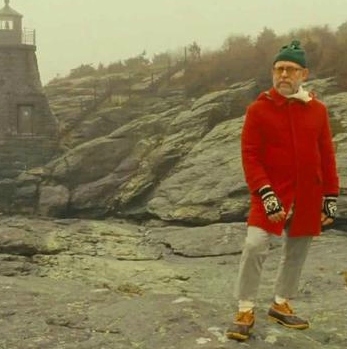 Next, rock a bright red coat and a green beanie just like Narrator. These tan loafers are a chicer interpretation of his L.L. Bean duck boots, while knot-shaped earrings are reminiscent of the nautical vibe found on New Penzance. 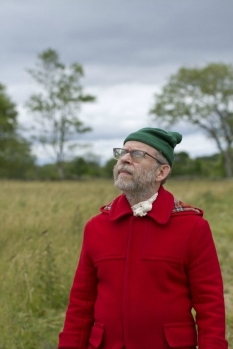 Have you seen Moonrise Kingdom? What do you think of the fashion in the movie? Which character has your favorite style? Would you wear any of these outfits? 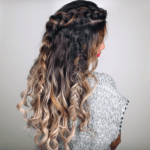 Remember to leave a comment below and tell me what you think!